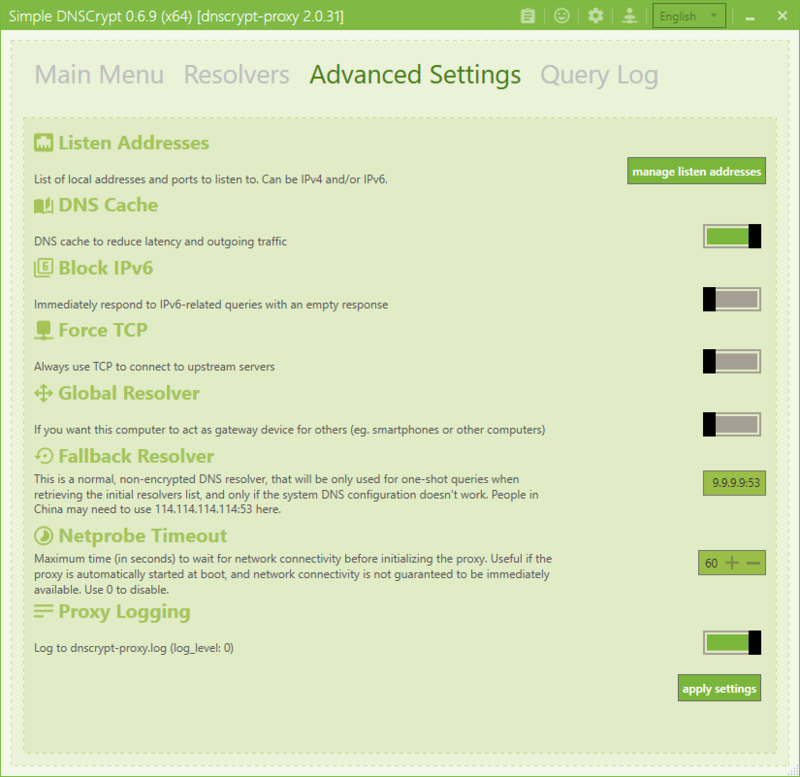 Simple DNSCrypt is a simple management tool to configure dnscrypt-proxy on windows based systems. At least one system with Windows 7 SP1 and the installation of. NET Framework 4.6.1 is currently required. To install Simple DNSCrypt use the latest (stable) MSI packages: x86 or x64. 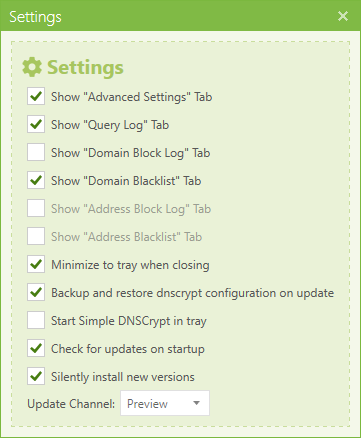 To uninstall Simple DNSCrypt and dnscrypt-proxy, just go to the Windows Control Panel (Programs and Features) and search for Simple DNSCrypt. 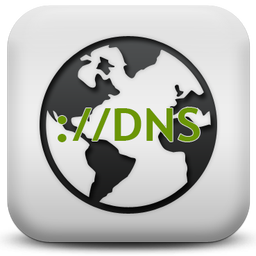 Simple DNSCrypt will automatically search for the latest version at startup. See also the list of Contributors.md who participated in this project. If you are a translator, feel free to update this file. 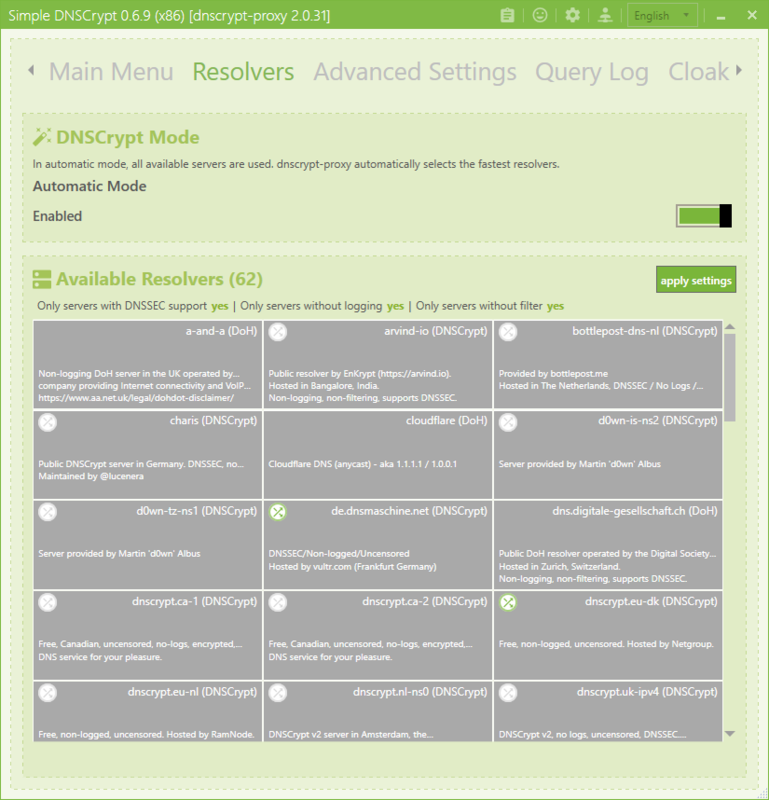 Simple DNSCrypt is maintained by Christian Hermann. This page was generated by GitHub Pages.